The smoking age is the minimum legal age required to purchase or smoke tobacco products. Most countries have laws that restrict those below a minimum age from legally purchasing tobacco products. Algeria None 19 It is illegal to sell tobacco products to minors under the age of 19 years. Angola None 18 It is illegal to sell tobacco to minors under the age of 18. Botswana None 18 It is illegal to sell tobacco to minors under the age of 18. Any person who sells, by retail, any tobacco product, shall display clearly, for the public, a notice to the effect that the sale of any tobacco product to a person under the age of 18 years is prohibited. Burundi None 18 It is illegal to sell cigarettes to anyone under the age of 18. Other tobacco products are not regulated. Chad 18 It is illegal to sell tobacco to a minor. Minors and pregnant women may not smoke in public. Comoros None 18 The sale of tobacco products to minors is prohibited. Vendors of tobacco products must visibly and prominently display at their point of sale a notice of prohibition of the sale of tobacco to minors and by minors. Democratic Republic of the Congo 18 It is illegal for minors to smoke in public, and for anyone to give or sell tobacco to a minor. Djibouti None 16 It is illegal to sell tobacco products to a minor under the age of 16 years. A notice with the sale restrictions has to be placed at point of sale. Egypt 18 The sale of tobacco products to persons under the age of 18 is prohibited. Ethiopia None 18 "No person may directly or indirectly give, provide or sell any tobacco product to a person under the age of 18." Kenya None 18 It is illegal to sell tobacco products to anyone under the age of 18 years. There is no minimum age to possess tobacco or smoke in public. Liberia 18 It is illegal to sell or supply tobacco to a minor. Minors may not consume tobacco at any public place. Libya None 18 It is strictly prohibited to sell any tobacco product to a person under the age of 18 years. Mauritius 18 A person must be 18 years old to purchase or to smoke cigarettes including any tobacco products as is indicated in Public Health (Restrictions on Tobacco Products) Regulations 1999, Sec. 2(e)(i)). Namibia None 18 It is illegal to sell or supply tobacco to a minor. No minimum age prior to 14 April 2010. 18 (to enter smoking room or facility) 18 It is illegal to sell tobacco products to a minor. Minors may not enter any smoking room or facility where smoking is permitted by law. No minimum age prior to 17 July 2008. Nigeria None 18 It is illegal to sell, give or otherwise supply tobacco products to a minor. Rwanda None 18 It is prohibited to involve a person under 18 in, buying, selling and exchanging of tobacco and tobacco products. It is also prohibited for the seller to sell tobacco and tobacco products to a person under 18. South Africa 18 It is illegal to sell or supply any tobacco product to a person under the age of 18. Swaziland None 18 It is illegal to sell and give tobacco to anyone under the age of 18 years. 18 (to enter smoking room or facility) 18 It is illegal to sell or give tobacco to a minor. Anyone under the age of 18 may also not handle, store, work or produce with tobacco or within such a facility. Tanzania 18 It is unlawful to sell or give tobacco products to a minor, and to smoke such tobacco products if the individual is younger than 18 years. Togo None 18 It is illegal to sell or give any tobacco product to a minor. Uganda None 21 It is now illegal for a person below the age of 21 to access cigarettes. Zambia None 16 It is illegal to sell tobacco to anyone under age 16. No minimum age for consumption and possession in public. No minimum age prior to 1 January 1993. Zimbabwe None 18 It is illegal to sell or give tobacco products to anyone under the age of 18. Minors may not sell tobacco. *May include laws that have not yet gone into effect. Antigua and Barbuda None Antigua and Barbuda doesn't have any restrictions towards selling tobacco to minors or smoking in general. Argentina None 18 It is illegal to sell tobacco products to minors. Bermuda None 18 No person shall sell or supply any cigarettes, tobacco or tobacco products to a minor. A person selling or supplying any cigarettes, tobacco or tobacco products to a person who appears to be under 25 years of age shall, before selling or supplying them, ensure, by requiring photo identification, that the latter person is not a minor. Bolivia None 18 The sale of tobacco products to minors under the age of 18 years is prohibited. Brazil None 18 It is illegal to "sell Products whose ingredients can cause physical or psychic dependence, even if only through improper use" (…). This also includes tobacco products of any kind. British Virgin Islands None 18 It is illegal to sell or offer to sell tobacco to anyone under the age of 18 years. It is not illegal for minors to purchase, possess or consume tobacco. Federal Government None 18 It is illegal to sell or supply tobacco products to a minor under the age of 18. The minimum age was 16 years of prior to 1994. Alberta 18 It is illegal to sell or supply tobacco products to a minor under the age of 18. Manitoba None 18 It is illegal to sell, give, buy for, lend or otherwise provide tobacco products to anyone under the age of 18 years. Parents can provide tobacco products to their children on private property. Further it is legal to supply tobacco to a minor if it is solely for use in traditional Aboriginal spiritual or cultural practices or ceremonies. New Brunswick None 19 It is illegal to sell and supply tobacco products to anyone under the age of 19 years. It is also illegal to attempt to purchase tobacco on behalf of, or for the purpose of resale to, a person under the age of 19 years. Newfoundland and Labrador None 19 It is illegal to sell, give or furnish, directly or indirectly, tobacco to a person under the age of 19 years. Northwest Territories None 18 No person shall sell or supply, or offer to sell or supply, tobacco or a tobacco accessory to a person under the age of 18. No one under the age of 18 years shall purchase or attempt to purchase tobacco or a tobacco accessory. Nova Scotia 19 19 No vendor or employee of a vendor shall sell or give tobacco or a tobacco product to a person under the age of nineteen years. No person shall purchase tobacco or a tobacco product on behalf of, or for the purpose of resale or give tobacco or a tobacco product, to a person under the age of nineteen years. No person under the age of nineteen years may possess tobacco. Nunavut None 19 No person shall sell or supply, or offer to sell or supply, tobacco to a person who is less than 19 years old. Ontario None 19 No person shall sell or supply tobacco to a person who is less than 19 years old. No person shall sell or supply tobacco to a person who appears to be less than 25 years old unless he or she has required the person to provide identification and is satisfied that the person is at least 19 years old. Prince Edward Island None 19 No person shall sell or supply tobacco to a person under the age of 19 years. No person shall purchase or attempt to purchase tobacco on behalf of, or for the purpose of resale to, a person under the age of 19 years. It is legal to supply tobacco to a minor if it is solely for use in traditional Aboriginal spiritual or cultural practices or ceremonies. Quebec None 18 It is illegal to sell tobacco to anyone under the age of 18 years. The operator of a tobacco retail outlet may not give tobacco to a minor. The operator of a tobacco retail outlet may not sell tobacco to an adult, if the operator knows the person is purchasing the tobacco for a minor. Saskatchewan None 18 It is illegal to sell, lend, assign, give or send tobacco to anyone under the age of 18 years. Yukon 18 (federal law) The territory Yukon has no legislations which restrict the sale of tobacco products to minors. Federal laws apply. Chile None 18 It is illegal to sell any form of tobacco to a person under the age of 18 years. Colombia None 18 It is forbidden for any individual or legal entity to directly or indirectly sell tobacco products and its derivatives in any of its presentations to minors under the age of 18 years. In case of question, one must ask each tobacco purchaser to show that he has reached majority age. Costa Rica None 18 Tobacco products may not be sold to minors. Wholesale or retail vendors of products shall have the obligation, at their own expense, to display posters that are visible, clear and prominently placed on the inside of places of sale, stating that the sale of tobacco products to minors is prohibited. Cuba None 18 Minors cannot legally buy tobacco, but stores may sell it to those who look 13 or older. Cayman Islands None 18 Tobacco Law, 2007 PART V – Section 10: No person shall sell tobacco to a minor. Dominican Republic None 18 It is illegal to sell tobacco to a person under the age of 18 years. Ecuador None 18 It is illegal to sell or let sell tobacco to or by a minor. El Salvador None 18 It is illegal to sell or give tobacco to a minor. Guyana None 18 No tobacco may be sold or furnished to a minor. Honduras None 21 The sale and/or gifting of tobaccoderived products to persons under 21 years of age is prohibited. Panama None 18 The sale of tobacco products to minors is prohibited. Paraguay None 18 It is unlawful to sell tobacco products to anyone under the age of 18 years. Peru 18 The sale of tobacco products to/by minors under the age of 18 is prohibited. Trinidad and Tobago None 18 Tobacco shall not be sold to or by a child under the age of 18 years. The federal law requires states to have a minimum age of 18 years for sale/purchase of tobacco products (21 U.S.C. § 387f(d)(3)(A)(ii)). State and local laws may extend this ban and also prohibit supply, possession and consumption to/by person underage, or increase the age beyond 18. However, most states do not directly ban the consumption of tobacco by a minor. The federal law requiring states to have a minimum purchasing age at 18 is enforced by withholding FEMA disaster and non-disaster grants from states that have purchasing ages under 18, and currently no state falls under that category. 18 (on military bases under federal law) It is illegal to sell or give tobacco products to anyone under the age of 19 years. Minors are prohibited from using and possessing tobacco products. The minimum age was introduced in 1896. Alaska None 19 It is illegal to sell or give tobacco products to anyone under the age of 19 years. Possession by minors is prohibited. The minimum age requirement does not apply to a person who is a prisoner at an adult correctional facility. The minimum age of 16 years was introduced in 1978. The minimum age was raised from 16 to 19 in 1988. Sitka has raised their tobacco sales age to 21. Arizona None 18 It is illegal to sell or give tobacco products or smoking equipment to anyone under the age of 18 years. It is illegal for a minor to be in possession of tobacco or smoking equipment, or to receive them. Cottonwood and Douglas have raised their tobacco sales age to 21. Arkansas 18 It is illegal to give or sell tobacco to anyone under the age of 18 years. It is illegal for minors to be in possession of tobacco products and to smoke in public. Helena–West Helena, Harrison, and Phillips County have raised the sales age for tobacco products to 21. California None 21 As of 9 June 2016, it is illegal to sell or furnish tobacco to a person under 21 years of age, with an exception for people in active military service who are 18 years old. Before 9 June, the age to purchase tobacco was 18 years of age. Colorado 18 It is illegal to sell, give or distribute tobacco products to anyone under the age of 18 years. Minors under the age of 18 years are prohibited from being in possession of any tobacco product. Aspen, Avon, and Basalt have raised the sales age for tobacco products to 21. Connecticut None 18 It is illegal to sell or give tobacco products to anyone under 18. It is illegal for minors to possess tobacco in public. A minimum age of 16 was introduced in 1902. The minimum age was raised from 16 to 18 in 1987. Delaware None 18 Selling, giving or otherwhise distributing tobacco products to anyone under the age of 18 years is illegal. Minors under the age of 18 years are not allowed to attempt to purchase tobacco or to be in the possession of tobacco products. The minimum age of 17 years was introduced in 1953. The minimum age was raised from 17 to 18 in 1992. Florida None 18 The Florida Statutes make it a criminal offence so sell or supply tobacco to an individual under the age of 18 years. Minors may also not be in possession of tobacco products. Alachua County, Florida has raised the tobacco purchase age to 21. Georgia None 18 It is illegal to sell or give tobacco products to anyone under the age of 18 years. It is illegal for minors to possess tobacco in public. Minors are allowed to possess tobacco products and to consume those, in private home if permission is given by parents or legal guardian. The minimum age of 17 years was introduced in 1987. The minimum age was raised from 17 to 18 in 1993. Guam 21 The minimum age was raised from 18 to 21, as of 1 January 2018. Hawaii 21 It is illegal to sell or furnish tobacco to a person under 21 years of age. It is also illegal for a person under 21 years of age to attempt to purchase tobacco. The minimum age of 15 years was introduced on 11 November 1890. The minimum age was raised from 15 to 18 on 1 January 1988. The minimum age was raised from 18 to 21 on 1 January 2016. Illinois None 21 The age to purchase tobacoo products in Illinois is 21. Before the statewide age was raised, the following municipalities and counties in Illinois had a purchase age of 21: Chicago, Aurora, Berwyn, Bolingbrook, Buffalo Grove, Elgin, Elk Grove, Glen Ellyn, Gurnee, Hopkins Park, Lincolnshire, Maywood, Moline Mundelein, Naperville, Peoria, Riverwoods, Skokie, Vernon Hills, Washington, Wheaton, Wilmette, Lake County. Indiana None 18 Giving, selling, providing and distributing tobacco to minors is illegal. Minors may not possess, accept or purchase tobacco. Minors are not allowed to enter a tobacco business, defined in state law as a business whose primary activity is the sale of tobacco products and accessories. The minimum age of 16 years was introduced in 1980. Iowa 18 It is illegal for minors to be in possession of tobacco, to smoke in public or to purchase tobacco products. It is illegal to sell or distribute tobacco to anyone under the age of 18 years. Kansas None 18 It is illegal to sell or supply tobacco to a minor. Minors may not possess or purchase or attempt to possess or purchase tobacco. Nineteen cities in Kansas, including Overland Park and Olathe, have raised their tobacco sales age to 21. Kentucky None 18 It is illegal to sell or supply tobacco to minors. Minors may not purchase or possess tobacco products. Prior to 1990 Kentucky had no minimum age to purchase tobacco. From 1990 until 1992 the minimum age was 16 years. In 1992 the age was raised from 16 to 18 years of age. Louisiana None 18 It is illegal to sell or distribute tobacco to a minor. A minor is not permitted to possess tobacco, except in private residences or if accompanied by a parent, spouse, or legal guardian 21 years of age or older. Prior to 1991 there was no minimum age limit in Louisiana. Maine 18 21 It is illegal to sell or distribute tobacco to a minor. A minor is not permitted to possess tobacco, except in private residences or if accompanied by a parent, spouse, or legal guardian 21 years of age or older. Implementation for 21 and older July 2018. Maryland None 18 Minimum age raised from 16 to 18 in 1989. Massachusetts None 21 It is illegal to sell tobacco to minors under 21 starting January 1, 2019. Anyone else than the parents or guardian are prohibited from giving any form of tobacco to a minor. Michigan 18 It is illegal to sell, give, supply or otherwise provide tobacco to minors. Minors may not purchase, attempt to purchase, possess, attempt to possess or consume tobacco products in public. Minors are permitted to smoke on private premises. Ann Arbor and Genesee County have raised their tobacco sales age to 21. Minnesota 18 It is illegal to sell, give, supply or otherwise provide tobacco to minors. Minors may not purchase, attempt to purchase, possess, attempt to possess or consume tobacco products in public. Indian may furnish tobacco to an Indian under the age of 18 years if the tobacco is furnished as part of a traditional Indian spiritual or cultural ceremony. Minneapolis, has raised the tobacco sales age to 21, as have Bloomington, Brooklyn Center, Edina, Eden Prairie, Excelsior, Falcon Heights, Hermantown, Lauderdale, Mendota Heights, Minnetonka, North Mankato, Plymouth, Roseville, Richfield, Shoreview, St. Louis Park, St. Peter, Waseca, and Olmsted, Otter Tail, and Pope Counties. Mississippi 18 It is illegal to sell, give, supply or otherwise provide tobacco to minors. Minors may not purchase, attempt to purchase, possess, attempt to possess or consume tobacco products in public. Adams County has raised their tobacco sales age to 21. Missouri None 18 It is illegal to sell, give, supply or otherwise provide tobacco to minors. It is not illegal to give tobacco to minors on private premises nor is it illegal for minors to smoke in public. Prior to 1992 Missouri did not have a minimum age limit. Twelve cities in Missouri, including Kansas City, St. Louis, Columbia and Jefferson City, have raised their tobacco sales age to 21. Montana None 18 Sale or distribution of tobacco products to persons under 18 years of age is prohibited, whether over the counter, by vending machine, or otherwise. Prior to 1993 there was no minimum age limit. Nebraska 18 It is illegal to sell, give or furnish, in any way tobacco to a minor. Minors may not smoke in public. New Hampshire 18 It is illegal to sell, give, supply or otherwise provide tobacco to minors. Minors may not purchase, attempt to purchase, possess, attempt to possess or consume tobacco products in public. Dover and Keene have raised the age for tobacco sales, possession, and use to 21. New Jersey None 21 No person shall sell, give or furnish to a person under 21 years of age, any cigarettes made of tobacco. The minimum age of 16 years was introduced in 1904. The minimum age was raised from 16 to 18 in 1988. The minimum age was raised from 18 to 19 in 2005. The minimum age was raised from 19 to 21 on 1 November 2017. New Mexico None 18 Prior to 1991 New Mexico had no minimum age. New York None 18 It is illegal to sell tobacco products to anyone under the age of 18 years. None 21 New York City (among others) and some counties have raised the sales age for tobacco products to 21. North Carolina None 18 It is illegal for anyone under age 18 to buy, attempt to buy, to receive, or to use a false or misleading proof of age for the purpose of purchasing or receiving any tobacco product or cigarette wrapping papers. The minimum age of 17 years was introduced in 1891. The minimum age was raised from 17 to 18 in 1991. Northern Mariana Islands 18 It is illegal to sell and supply tobacco to a minor. Seventeen cities in Ohio: Akron, Bexley, Cincinnati, Cleveland, Cleveland Heights, Columbus, Dublin, Euclid, Grandview Heights, Kent, Mogadore, New Albany, Norton, Powell, Upper Arlington, Wickliffe, and Worthington have raised their tobacco sales age to 21. Oklahoma None 18 It is illegal to sell, give or otherwise supply tobacco to anyone under the age of 18 years. The minimum age of 18 years was introduced in 1915. Oregon None 21 It is illegal to sell, give or otherwise supply tobacco to anyone under the age of 21 years since 1 January 2018. Pennsylvania None 18 It is illegal to sell, furnish, give or otherwise provide tobacco to a minor. Minors may not purchase or attempt to purchase tobacco products. The minimum age of 16 years was introduced in 1972. The minimum age was raised from 16 to 18 in 1990. Rhode Island 18 No person under eighteen years of age shall purchase, nor shall any person sell, give, or deliver to any person under eighteen years of age, any tobacco products. No person under eighteen years of age shall use or possess, tobacco in any public street, place, or resort, any tobacco and/or electronic nicotine delivery system in any form. The minimum age of 16 years was introduced in 1896. 18 21 Barrington and Central Falls have raised their sales age for tobacco products to 21 years. South Carolina None 18 It is illegal to sell, give or otherwise supply tobacco to anyone under the age of 18 years. It is illegal for minors to purchase, attempt to purchase, possess, or attempt to possess a tobacco product, or present or offer proof of age that is false or fraudulent for the purpose of purchasing or possessing a tobacco product. South Dakota None 18 Prior to 1989 South Dakota didn't regulate the sale of cigarettes to minors. Only smokeless tobacco products could not be sold to minors. Tennessee None 18 It is unlawful for a person who has not attained 18 years of age to possess a tobacco product, to purchase or accept receipt of a tobacco product, or to present or offer to any person any purported proof of age which is false, fraudulent, or not actually that person's own for the purpose of purchasing or receiving any tobacco product. Texas 18 It is illegal to sell, give, supply or otherwise provide tobacco to minors. Minors may not purchase, attempt to purchase, possess, attempt to possess or consume tobacco products in public. Exception: The individual younger than 18 years of age possessed the cigarette or tobacco product in the presence of an adult parent, a guardian, or a spouse of the individual or an employer of the individual, if possession or receipt of the tobacco product is required in the performance of the employee's duties as an employee. The minimum age to purchase, possess and consume tobacco was 16 years of age from 1899 to 1989. 18 21 San Antonio has raised its sales age for tobacco products to 21. Utah 19 (21 from 2021) It is illegal to sell, supply, give or otherwise furnish tobacco products or smoking devices to anyone under the age of 19 years. It is illegal for anyone under the age of 19 years to possess, consume, purchase any tobacco product. The smoking age will be increased to 21 beginning in 2021. Vermont None 18 It is illegal to sell, supply, give or otherwise furnish tobacco products to anyone under the age of 18 years. It is illegal for anyone under the age of 18 years to possess or purchase tobacco products. The minimum age of 17 years was introduced in 1888. Virginia 21 It is illegal to sell, supply, give or otherwise furnish tobacco products to anyone under the age of 21 years. It is illegal for anyone under the age of 21 years to possess or purchase tobacco products. The exception is for those in active duty while 18 years old. Prior to 1991 the minimum age to purchase tobacco products was 16 years of age. Washington None 21 It is illegal to sell, give or permit to sell or give tobacco products to anyone under the age of 21 years. It is not illegal for minors to possess or consume tobacco products in public. Washington, D.C. None 21 It is illegal to sell, give or permit to sell or give tobacco products to anyone under the age of 21 years. It is not illegal for minors to possess or consume tobacco products in public. The minimum age of 16 years was introduced in 1891. The minimum age was raised from 18 to 21 in 2016. West Virginia 18 It is illegal to sell, supply, give or otherwise furnish tobacco products to anyone under the age of 18 years. It is illegal for anyone under the age of 18 years to possess, consume or purchase tobacco products. Wisconsin None 18 It is illegal to sell, give or permit to sell or give tobacco products to anyone under the age of 18 years. It is not illegal for minors to possess or consume tobacco products in public. Wyoming 18 It is illegal to sell, supply, give or otherwise furnish tobacco products to anyone under the age of 18 years. It is illegal for anyone under the age of 18 years to possess, consume or purchase tobacco products. Prior to 1991 Wyoming had no minimum purchase/sale age for tobacco products. Uruguay None 18 It is illegal to sell tobacco to a minor. A clearly legible notice with the sale ban to under anyone under the age of 18 years has to be placed inside and outside the premises. Venezuela None 18 It is illegal to sell or supply tobacco products to a minor. Afghanistan 18 It is illegal to sell, give or otherwise furnish tobacco products to anyone under the age of 18 years. It is illegal to smoke or the use of tobacco in public buildings such as hospitals, schools and restaurants. Bhutan Illegal In 2004, Bhutan became the first country to ban the sale, cultivation, and production of tobacco. People 18 and over may bring a limited amount of tobacco into Bhutan if they pay import duties. Brunei 18 It is illegal to sell, give or otherwise furnish tobacco products to anyone under the age of 18 years. It is illegal for minors to possess, buy or consume tobacco products. Bangladesh 16 It is illegal to sell tobacco products to anyone under the age of 16 years. Any police-officer in uniform or any other person or class of persons duty authorized by the Government has the power to seize and destroy tobacco products of anyone under the age of 16 years whom he finds smoking in public. Cambodia None 18 Any act of selling or distributing all types of tobacco products to persons aged under 18 years or to pregnant women whose pregnancy is obvious or is realized must be punished with six days to one month in prison and a fine of 100,000 riel to 1 million riel. China None 18 It is illegal to sell tobacco products to minors. No one shall smoke on school or education premises. Weakly enforced to not enforced. No age limit prior to 29 December 2006. Hong Kong None 18 It is illegal to sell, give or otherwise furnish tobacco products to anyone under the age of 18 years. India 10- above 9-24 years It is illegal to sell cigarettes or any other tobacco product to a person under the age of 9 years. It is illegal to sell tobacco within a radius of one hundred yards of any educational institution. Indonesia None 18 It is illegal to sell and supply tobacco products to pregnant women or anyone under the age of 18 years. Iran None 18 It is illegal to sell and supply tobacco products to anyone under the age of 18 years. Violation will result in confiscation of tobacco from the minor and a fine for the salesperson. Israel None 18 It is illegal to sell tobacco products to a minor. No minimum age prior to 12 November 2004. 18* 18 It is illegal to sell tobacco to a minor. It is also illegal to provide water pipes in cafes, restaurants and similar places. Japan 20 It is illegal to supply tobacco to persons under 20 years. It is punishable by a ¥10,000 fine. Kuwait None 21 It is illegal to sell or give tobacco products to anyone under the age of 21 years. Kyrgyzstan None 18 No minor shall sell or be sold tobacco products. Lebanon 18 18 It is illegal to sell or distribute tobacco to a minor. Macau None 18 It is illegal to sell tobacco to a person under the age of 18 years. It is not illegal for a minor to smoke or to obtain tobacco from a person of the legal age. Malaysia None 18 It is illegal to sell tobacco products to a minor. Maldives None 18 It is illegal to sell tobacco products to anyone under the age of 18 years. The retailer must ensure that the buyer is at least 18 years of age. Furthermore, a clearly legible notice has to be displayed at point of sale stating that tobacco sales to minors are illegal. Nepal None 18 It is illegal to sell or distribute tobacco products to minors and pregnant women. North Korea None 17 It is illegal to sell tobacco products to a minor. (The tobacco law does not define the word "minor", but age of majority is reached at the age of 17 years). Pakistan None 18 It is illegal to sell tobacco to a person under the age of 18 years. A clearly legible notice with the sale restriction has to be placed at point of sale. Qatar None 18 It is illegal to sell cigarettes or any other tobacco to a person under the age of 18 years. Singapore 19 Singapore takes a very stern view on underage smoking. The current smoking age in Singapore is 19 years old, after being raised from the previous 18 years old on January 1, 2019. It will be raised again to 20 on January 1, 2020 and eventually 21 on January 1, 2021. It is illegal to sell or give, directly or indirectly any tobacco product to any under-aged person, and anyone caught doing so will be subjected to harsh penalties. Anyone caught selling tobacco products to an under-aged person will be charged in court and can be fined up to 5,000 Singapore dollars for the first offense, and up to $10,000 for the second and subsequent offenses. In addition, the store involved will have the tobacco license suspended for 6 months at the first offense, and permanently revoked for the second offense. However, if the store involved is caught selling to minors in school uniform, or to minors below the age of 12, the tobacco license will be permanently revoked even at its first offense. Anyone caught buying tobacco products for an under-aged person will be charged in court can be fined up to 2,500 Singapore for the first offence, and up to 5,000 for the second and subsequent offences. Anyone caught giving tobacco products to an under-aged person will be charged in court and can be fined up to 500 Singapore dollars for the first offence, and up to 1,000 Singapore dollars for the second and subsequent offences. It is illegal for minors to purchase, use or possess any tobacco product in public Minors caught doing so are usually given a warning or a 30-dollar composition fine, with their school and parents informed and follow-up actions taken by the school. Minors caught more than once will have to attend not less than two smoking cessation counseling session to have their offences compounded. Minors who fail to comply with the above requirements or if they are caught four or more times, they can be charged in court and be liable to a fine not exceeding 300 Singapore dollars upon conviction. Sri Lanka None 21 It is the law to sell any tobacco product to a person under the age of 21 years. Syria None 18 It is unlawful to sell or give tobacco to a person under the age of 18 years. Taiwan 18 It is illegal to sell or provide tobacco to persons under the age of 18 years. It is illegal to force, induce or use other means to cause a pregnant woman to smoke. It is illegal for a pregnant women or a minor to smoke. No penalty is provided for pregnant women who smoke. Turkmenistan Illegal In January 2016, President Gurbanguly Berdymukhammedow reportedly banned tobacco sales in Turkmenistan. Vietnam 18 It is illegal for people less than 18 years of age use, buy, and sell tobacco products. It is illegal to sell and supply tobacco product to people less than 18 years of age. Note: Regulation by canton in Switzerland is below. Albania None 18 It is illegal to sell or supply tobacco products to minors under the age of 18 years. Armenia None 18 It is illegal to sell tobacco products anyone under the age of 18 years. Minors may not sell tobacco products. No minimum age prior to 24 December 2004. Austria 18 The minimum age is regulated by each federal state, but is nationwide 18 years. It is illegal in every state to sell or give tobacco products to a person under the age of 18 years as well as the consumption by a person under the age of 18 years in any public place. Azerbaijan None 18 It is illegal to sell tobacco products to anyone under the age of 18 years. The packaging of tobacco products must contain a warning that sale to minors is prohibited. No minimum age prior to 1 January 2002. Bosnia and Herzegovina 18 It is illegal to sell and gift tobacco products to anyone under the age of 18 years. It is illegal for minors under the age of 18 years to gift, sell and consume tobacco products. The minimum age was 15 years prior to 28 September 2004. No minimum age prior to 9 March 1998. Bulgaria None 18 It is illegal to sell tobacco products to anyone under the age of 18 years. Croatia None 18 It is illegal to sell tobacco products to minors. It is the responsibility of any salesperson to ensure that no tobacco is sold to minors and therefore to request an ID to make sure that the purchaser is at least 18 years of age. Minors may not sell tobacco products. Cyprus None 18 It is illegal to sell or otherwise provide tobacco products to a minor. "(…)any person who provides a tobacco product to a minor is guilty of offense and in any case of his/her conviction, he/she shall be subject to a penalty not exceeding one thousand pounds or to incarceration not exceeding six months and/or to both penalties." Czech Republic None 18 Selling tobacco products to anyone under 18 is prohibited. Sale of tobacco products and tobacco through vending machines is permitted if the tobacco purchase age is not violated. The seller shall place a clearly visible notice displaying the sale restrictions of tobacco to person under the age of 18. A person selling tobacco must be 18 years or older, unless the minor is preparing for a future career in the hotel or tourism industry, as a cook-waiter or salesman. However, it is very easy to get tobacco products for minors as many sellers don't check the age. The minimum age was 16 years prior to 2 September 1999. Denmark None 18 The minimum age was 16 years prior to 1 September 2008. Estonia 18 The minimum age to purchase tobacco products or to smoke in public is set at 18. Minors may not be in possession of, or handle tobacco products. Finland 18 Prior to October 2010 it was not illegal for minors to smoke in public. The minimum age was 16 years prior to 1 March 1995. France None 18 It is illegal to sell tobacco products to anyone under the age of 18 years. Minors under the age of 18 years may not smoke in any school or on school property. Vending machines outside a tobacco shop is prohibited. Prior to 21 July 2009 the minimum age to purchase tobacco products was 16 years of age. Georgia None 18 It is illegal to sell tobacco products to minors under the age of 18. Germany 18 The Protection of Young Persons Act states that children and young people under 18 years of age shall not be sold tobacco products nor should they be permitted to smoke in public. This does not apply to married adolescents. Minimum age was 18 from 10 June 1943 until 1 January 1952. Minimum age was 16 from 1 January 1952 to 1 September 2007. Gibraltar 18 It is illegal to sell and furnish tobacco products to anyone under the age of 18 years. Any police officer may confiscate tobacco from a minor in public. The minimum age was 16 years prior to 7 July 2006. Greece None 18 It is illegal to sell tobacco to minors. Hungary 18 It is illegal to sell or supply tobacco products to anyone under the age of 18. It is illegal to smoke under the age of 18. The sale of tobacco is prohibited within 200 m of schools and health care units. Iceland None 18 It is illegal to sell or deliver tobacco products to anyone under the age of 18 years. Minors may not handle or sell tobacco products. No minimum age prior to 1 January 1985. The minimum age was 16 years from 1 January 1985 to 1 October 1996. Ireland 18 The sale of tobacco to persons under 18 is illegal. It is illegal to buy or smoke cigarettes if under the age of 18. The minimum age was 16 years prior to 27 March 2002. Italy None 18 It is illegal to sell tobacco products to anyone under the age of 18 years. Violation is punished with a fine between €250.00 and €1000.00. If the law is violated more than once the fine is increased to €500.00 and €2,000.00 and a revocation of the tobacco license for at least 3 months. Minimum age for electronic cigarettes was 16 prior to 1 May 2013. Latvia 18 The sale of tobacco products to persons under the age of 18 is prohibited. Liechtenstein 16 It is illegal for anyone under the age of 16 to possess or consume tobacco products. 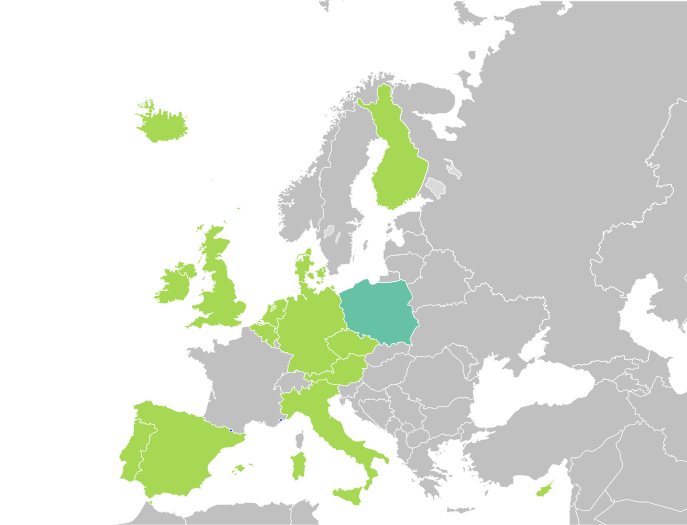 Lithuania 18 No minimum age to smoke prior to 1 May 2015. Luxembourg None 18 It is illegal to sell tobacco products to anyone under the age of 18 years. No minimum age prior to 1 January 2006. Minimum purchase age increased from 16 to 18 on 1 August 2017. Malta None 18 "No person shall sell, supply or distribute by way of compensation or otherwise, any cigarettes, cigars, tobacco, tobacco products or smoking requisites to any person who is under the age of 18 years, or in any manner induce such person to smoke." Moldova None 18 It is illegal to sell tobacco to anyone under the age of 18 years. Montenegro None 18 It is illegal to sell tobacco to anyone under the age of 18. A poster with the sale restrictions must be placed at point of sale. Netherlands None 18 The sale of tobacco to persons under 18 is illegal. Smoking of tobacco is prohibited by law in all public buildings and in public transport. As of 1 January 2004 every employee has the right to work in a smoke-free environment. All forms of tobacco advertising, promotion or sponsorship are prohibited. Smoking remains prevalent in the Netherlands despite these efforts. Tobacco can be bought at every supermarket and at other stores. North Macedonia None 18 It is illegal to sell tobacco to anyone under the age of 18 years. Norway None 18 No age limit for use of tobacco but no sales of cigarettes or Swedish snus to people under 18 by law. Vending machines are only allowed when they are cited inside an approved store, with a demand of buying a receipt from the cashier first. and imitation tobacco products are not allowed. Cigarette commercials are also strictly forbidden by law. As of June 2004, smoking is prohibited in all public places, including restaurants, pubs and work places. Poland None 18 Minors are not allowed to buy tobacco products. Portugal 18 It is illegal to sell or give any tobacco product to a minor as well as the consumption of a tobacco product in any public place by a minor. There is a proposition to ban vending machines in places accessible to people younger than 18. Minimum age was 16 prior to 1 January 2008. Romania None 18 There is a ban on sale of tobacco to those younger than 18. Vending machines selling tobacco are banned. There is no minimum legal age of smoking. Russia None 18 Retail sales of tobacco products to any person under the age of 18 years are an offence. Serbia None 18 The sale to persons under 18 is prohibited. Contrary to that, a lot of salesmen sell cigarettes to minors in Serbia. Acquiring tobacco products is very easy for minors despite the law. Slovakia None 18 Tobacco sales to under 18 year olds are prohibited. Slovenia None 18 It is illegal to sell tobacco to anyone under the age of 18. ID-Card or passport has to be shown if requested. Spain None 18 It is illegal to sell any tobacco product or other smoking substances (e.g. electronic cigarettes) to a person under the age of 18 years. Minimum age was 16 in most regions prior to 1 January 2006. Sweden None 18 It is illegal to sell or commercially distribute tobacco to a person under the age of 18 years. No minimum age prior to 1 January 1997. Aargau None 16 It is an offence to sell or supply (except for Parents) any tobacco product to a person under 16 years of age. Appenzell Ausserrhoden None 16 It is an offence to sell or supply any tobacco product to a person under 16 years of age. Appenzell Innerrhoden None No cantonal regulation towards sale and supply of tobacco products to minors. Basel-Landschaft None 18 Selling any tobacco product to a minor is unlawful. If a customer appears to be under the age of 18 years the salesperson must check a valid ID. Basel-Stadt None 18 Selling any tobacco product to a minor is unlawful. If a customer appears to be under the age of 18 years the salesperson must check a valid ID. 18 (to enter smoking facility or premises) 18 Selling or giving any tobacco product to a minor is unlawful. If a customer appears to be under the age of 18 years the salesperson must check a valid ID. Fribourg None 16 Selling or supplying any tobacco product to a person under the age of 16 is unlawful. If a customer appears to be under the age of 16 years the salesperson must check a valid ID. Geneva None No cantonal regulation towards sale and supply of tobacco products to minors. Glarus None 16 Selling any tobacco product to a person under the age of 16 is unlawful. If a customer appears to be under the age of 16 years the salesperson must check a valid ID. Jura None 18 It is illegal to sell or supply tobacco to a minor. Luzern None 16 Selling any tobacco product to a person under the age of 16 is unlawful. Neuchâtel None 18 Selling any tobacco product to a minor is unlawful. Nidwalden None 18 Selling any tobacco product to a minor is unlawful. Obwalden None No cantonal regulation towards sale and supply of tobacco products to minors. Schaffhausen None 18 Selling any tobacco product to a minor is unlawful. Schwyz None No cantonal regulation towards sale and supply of tobacco products to minors. Solothurn None 16 Selling any tobacco product to a person under the age of 16 is unlawful. St. Gallen None 16 Selling or supplying any tobacco product to a person under the age of 16 is unlawful. If a customer appears to be under the age of 16 years the salesperson must check a valid ID. Thurgau None 16 Selling or supplying any tobacco product to a person under the age of 16 is unlawful. If a customer appears to be under the age of 16 years the salesperson must check a valid ID. Ticino None 18 Selling any tobacco product to a minor is unlawful. Uri None 16 Selling or supplying any tobacco product to a person under the age of 16 is unlawful. Valais None 16 Selling or supplying any tobacco product to a person under the age of 16 is unlawful. Currently the cantonal government is planning to raise the minimum age to 18 years. Vaud None 18 Selling any tobacco product to a minor is unlawful. Zug None 18 Selling any tobacco product to a minor is unlawful. Zürich None 16 Selling or supplying any tobacco product to a person under the age of 16 is unlawful. If a customer appears to be under the age of 16 years the salesperson must check a valid ID. It is illegal to sell tobacco to anyone under the age of 18. The minimum age to smoke in public is 16 and authorities have the duty to seize any tobacco or cigarette papers in the possession of any person apparently under the age of 16. Minimum age to purchase was 16 from 1908 to 1 October 2007. No minimum age prior to 1908. A person who sells a tobacco product or cigarette papers to a person under the age of 18 commits an offence. Any person under the age of 18 who buys or attempts to buy a tobacco product or cigarette papers commits an offence as well as an adult who knowlingly buys a tobacco product or cigarette papers on behalf of a person under the age of 18. Any constable who has reasonable grounds for suspecting that a person in a public place is under the age of 18, and in possession of a tobacco product or cigarette papers may require the person to surrender the tobacco product. Minimum age was 16 prior to 30 September 2007. A person who sells to a person under the age of 18 any tobacco or cigarette papers, whether for his or her own use or not, shall be guilty of an offence. A member of the Police Service of Northern Ireland may seize any tobacco or cigarette papers in the possession of any person apparently under the age of 18 whom he or she finds smoking in any street or public place. Minimum age was 16 prior to 1 September 2008. Australian Capital Territory None 18 It is illegal to sell tobacco products to a person under the age of 18 years. Further it is illegal to buy a tobacco product for a minor. New South Wales None 18 It is illegal to sell any tobacco or non-tobacco smoking product to a person who is under the age of 18 years. Northern Territory None 18 It is illegal to sell any tobacco product to a minor or on behalf of a minors. It is illegal to smoke in a vehicle with a person under the age of 18 years present. Queensland None 18 It is illegal for an adult to supply a tobacco product to a person under the age of 18 years; however, a responsible adult for a child does not commit an offence by supplying a smoking product to the child. South Australia None 18 It is an offence to supply any tobacco product to a person under the age of 18 years. Tasmania None 18 It is illegal to sell or supply tobacco to a person under the age of 18 years. Minimum age was 16 prior to 1 January 1997. Victoria None 18 It is illegal to supply tobacco to a minor. Smoking in a vehicle with a person under 18 present is an offence. Western Australia None 18 It is illegal to sell, deliver or supply tobacco or smoking implement to a minor. Purchase on behalf of people under 18 prohibited. Fiji None 18 It is illegal to sell and supply tobacco to a minor. Micronesia, Federated States of 18 It is illegal to sell and supply tobacco to a minor. New Zealand None 18 It is illegal to sell and supply tobacco to a minor under 18 years. No minimum age prior to 1903. Minimum age of 15 years from 1903 to 1988. 21 (Only rolling papers and elaus) It is illegal to sell or give tobacco products to anyone under the age of 18 years. If the purchaser appears to be under the age of 30 years, ID must be checked before sale. It is illegal to employ anyone under the age of 21 handling tobacco products. It is illegal to sell rolling papers and elaus to anyone under the age of 21 years. Papua New Guinea None 18 It is illegal to sell or give tobacco to a person under the age of 18 years. Samoa 21 It is illegal to sell tobacco to anyone under the age of 21 years. It is not illegal for a person under the age of 21 years to possess or smoke tobacco in public. Solomon Islands None 18 It is illegal to sell, give or otherwise supply tobacco to a minor. Tonga None 18 It is illegal to sell, give or otherwise supply tobacco to a minor. Tokelau 16 It is illegal for a person under 16 to smoke tobacco. Vanuatu 18 It is illegal to sell tobacco to a persons under 18. It is illegal for persons under 18 to smoke tobacco. ^ "Le projet de la loi relative à la santé interdit la vente du tabac et des boissons alcoolisées aux mineurs". aps.dz (in French). Algérie Presse Service. 16 September 2014. Retrieved 23 May 2015. ^ "Lei n° 1/07 de 14 de Maio 2007 das Actividades Comerciais – Artigo 36 º - q)". wipo.int. Retrieved 30 January 2015. ^ "Law No. 2006-12 Concerning Regulation of the Production, Commercialization and Consumption of Cigarettes and Other Tobacco Products Article 22: Prohibition" (PDF). tobaccocontrollaws.org. THE NATIONAL ASSEMBLY. p. 6. Retrieved 2 June 2015. ^ "Control of Smoking Act, 1992: CHAPTER 65:04 – PART II – 8." (PDF). Retrieved 30 January 2015. ^ "Law No. 040-2010/Concerning Tobacco Control in Burkina Faso (as promulgated by Decree N° 2010-823) Article 23" (PDF). tobaccocontrollaws.org. PRESIDENT OF THE COUNCIL OF MINISTERS. 25 November 2011. p. 9. Retrieved 2 June 2015. ^ "Decree No. 630/3007/CAB/2011" (PDF). tobaccocontrollaws.org (in French). 10 October 2011. Retrieved 25 May 2015. ^ "Law No. 010/PR/2010 on Tobacco Control" (PDF). tobaccocontrollaws.org. Government of Chad. 10 June 2010. Retrieved 2 June 2015. ^ "Law No. 11-002/AU of 27 March 2011 on Tobacco Control CHAPTER IV.- Article 11" (PDF). tobaccocontrollaws.org. UNION OF THE COMOROS. 14 July 2011. Retrieved 25 May 2015. ^ "Law No. 12-2012 on Tobacco Control" (PDF). tobaccocontrollaws.org. NATIONAL ASSEMBLY AND THE SENATE. 4 July 2012. p. 1. Retrieved 2 June 2015. ^ "ARRETE MINISTERIEL N°1250 /CAB/MIN/SP/~f. :/A0/2007 DU, /l~./07/2007 PORTANT MESURES APPLICABLES A L'USAGE ET A LA CONSOMMATION DU TABAC ET SES DERIVES Article 1." (PDF). tobaccocontrollaws.org (in French). LE MINISTRE DE LA SANTE PUBLIQUE. 19 July 2007. p. 2. Retrieved 3 June 2015. ^ "Law No. 175-AN-07 on Tobacco Control Article 23 and Article 24" (PDF). tobaccocontrollaws.org. Government of Djibouti. 2 December 2007. p. 5. Retrieved 6 June 2015. ^ "Decree No. 3/1988" (PDF). tobaccocontrollaws.org (in Spanish). Retrieved 25 May 2015. ^ "Proclamation No. 143/2004 to Provide for Tobacco Control Article 6. Distribution" (PDF). tobaccocontrollaws.org. Government of Eritrea. Retrieved 25 May 2015. ^ "Tobacco Control Directive 17. Protection of minors from tobacco products" (PDF). tobaccocontrollaws.org. Ethiopian Food, Medicine and Healthcare Administration and Control Authority. 2015. Retrieved 25 May 2015. ^ "Law No. 006/2013 on Tobacco Control Article 17" (PDF). tobaccocontrollaws.org. Official Journal of the Republic of Gabon. Retrieved 25 May 2015. ^ "Public Health Act, 2012 (Act 851) 65. Minimum age restrictions" (PDF). tobaccocontrollaws.org. 9 October 2012. p. 33. Retrieved 25 May 2015. ^ "The Tobacco Control Act, 2007 15. Supply to and by young persons." (PDF). tobaccocontrollaws.org. Parliament. 2007. p. 12. Retrieved 3 June 2015. ^ "The Tobacco Regulations" (PDF). tobaccocontrollaws.org. 1 September 2011. p. 3. Retrieved 2 June 2015. ^ "Decision No. (206) for 2009 by the General People's Committee Approving Rulings on the Control of Smoking, Tobacco and All Tobacco Products Article (10)" (PDF). tobaccocontrollaws.org. General People's Committee. 2009. p. 4. Retrieved 3 June 2015. ^ "Interministerial Order No. 18171/2003 Art. 9" (PDF). tobaccocontrollaws.org. MINISTRY OF ECONOMY, FINANCE AND BUDGET – MINISTRY OF INDUSTRIALIZATION, TRADE AND PRIVATE SECTOR DEVELOPMENT – MINISTRY OF HEALTH. 20 January 2004. p. 4. Retrieved 2 June 2015. ^ "Law No. 10-033 of July 12, 2010 on the Sale and Consumption of Tobacco and Tobacco Products Article 8: Access to tobacco products" (PDF). tobaccocontrollaws.org. National Assembly. 12 July 2010. p. 2. Retrieved 2 June 2015. ^ "Decree No. 11/2007 Artigo 12" (PDF). tobaccocontrollaws.org (in Portuguese). Retrieved 25 May 2015. ^ "Tobacco Products Control Act, 2010 PART 4 Section 18." (PDF). tobaccocontrollaws.org. OFFICE OF THE PRIME MINISTER. 14 April 2010. p. 15. Retrieved 3 June 2015. ^ "Establishing the modes of enforcement of n° 2006-12 of May 15, 2006 relative to tobacco control Article 10" (PDF). tobaccocontrollaws.org. Council of Ministers. 2006. p. 4. Retrieved 3 June 2015. ^ "Tobacco Control Bill 2008 5.- Supply of Tobacco Products". docs.google.com. Minister of Health. 2008. Retrieved 3 June 2015. ^ "Law No. 08/2013 of 01/03/2013 Relating to the Control of Tobacco Article 10: Involving a child in the business of tobacco and tobacco products" (PDF). tobaccocontrollaws.org. 1 March 2013. p. 16. Retrieved 3 June 2015. ^ "Law No. 3/2014, Tobacco Control Law" (PDF). tobaccocontrollaws.org. NATIONAL ASSEMBLY. 17 July 2014. Retrieved 2 June 2015. ^ "Loi relative à la fabrication, au conditionnement, l'étiquetage, à la vente et à l'usage du tabac Chapitre III.- Accès aux produits du tabac: Article 17" (PDF). tobaccocontrollaws.org (in French). L'Assemblée nationale. 2 June 2009. p. 15. Retrieved 3 June 2015. ^ "TOBACCO CONTROL ACT, 2009 Section 7." (PDF). tobaccocontrollaws.org. President and National Assembly. 19 August 2009. p. 5. Retrieved 3 June 2015. ^ "Tobacco Products Control Act, 1993 4. Prohibitions in respect of tobacco products". acts.co.za. Acts Online. Retrieved 14 May 2015. ^ "THE TOBACCO PRODUCTS CONTROL ACT, 2013 PART IV 22." (PDF). tobaccocontrollaws.org. 2013. p. 11. Retrieved 2 June 2015. ^ "Tobacco Control Law 2005 Article III 8." (PDF). tobaccocontrollaws.org. National Assembly. 2005. p. 3. Retrieved 2 June 2015. ^ "THE TOBACCO PRODUCTS (REGULATION) ACT, 2003 PART II 6. and 7." (PDF). tobaccocontrollaws.org. Government of Tanzania. 2005. p. 5. Retrieved 2 June 2015. ^ "The Law Concerning the Production, Sale and Consumption of Tobacco and its Derivative Products Section 2: Specific provisions on the protection of children" (PDF). tobaccocontrollaws.org. Government of Togo. 14 January 2011. p. 5. Retrieved 2 June 2015. ^ "Loi n° 9817 du 23 février 1998 relative à la lutte contre le tabagisme Art. 4" (PDF). tobaccocontrollaws.org (in French). 23 February 1998. p. 2. Retrieved 9 June 2015. ^ Ladu, Ismail Musa (29 July 2015). "Uganda: House Passes New Anti-Tobacco Law" – via AllAfrica. ^ "Public Health (Tobacco) Regulations, 1992 (Statutory Instrument No. 163 of 1992)" (PDF). tobaccocontrollaws.org. Government of Zambia. 11 December 1992. p. 2. Retrieved 2 June 2015. ^ "Public Health (Control of Tobacco) Regulations, 2002 6. Trading of tobacco 10 or by minors prohibited" (PDF). tobaccocontrollaws.org. Government of Zimbabwe. 2002. p. 3. Retrieved 2 June 2015. ^ Ministry of Legal Affairs. "Laws or Acts of Parliament In Alphabetical Order". Retrieved 28 February 2010. ^ "Ley 26.687 ARTICULO 18.". infoleg.gob.ar (in Spanish). Ministerio de Economía y Finanzas Públicas. 11 June 2011. Retrieved 23 May 2015. ^ "Child Protection Act PART VI – 64. - SECTION 3 AND 4" (PDF). laws.bahamas.gov.bs. Government of Bahamas. p. 35. Retrieved 9 June 2015. ^ "TOBACCO PRODUCTS (PUBLIC HEALTH) AMENDMENT ACT 2005 Section 4D Sale or supply to minors prohibited" (PDF). tobaccocontrollaws.org. Retrieved 25 May 2015. ^ "CIRCULAR No. 269/2007 ARTICLE 11. –(BANS)." (PDF). tobaccocontrollaws.org. National Legal Office. p. 10. Retrieved 26 May 2015. ^ "Lei 8069/1990 "Venda proibida a menores de 18 anos Art. 81" (PDF). tobaccocontrollaws.org. Government of Brazil. p. 1. Retrieved 9 June 2015. ^ "TOBACCO PRODUCTS CONTROL ACT, 2006 5. (1)" (PDF). tobaccocontrollaws.org. Legislative Council. 2006. Retrieved 23 May 2015. ^ "Tobacco Act PART II ACCESS: Section 8" (PDF). laws-lois.justice.gc.ca (in English and French). Minister of Justice. 27 April 2015. p. 11. Retrieved 14 May 2015. ^ Mollie Dunsmuir. "FEDERAL LEGISLATION AND REGULATORY ACTION". publications.gc.ca. Parliamentary Research Branch. Retrieved 14 May 2015. ^ "TOBACCO AND SMOKING REDUCTION ACT Section 7.5" (PDF). qp.alberta.ca. Legislative Assembly of Alberta. 20 February 2015. p. 9. Retrieved 14 May 2015. ^ "Tobacco Control Act Section 2 (2)". bclaws.ca. Legislative Assembly of British Columbia. 1 September 2008. Retrieved 14 May 2015. ^ "The Non-Smokers Health Protection Act 7(1),(2)". gov.mb.ca. Legislative Assembly of Manitoba. 1 April 2014. Retrieved 14 May 2015. ^ "Tobacco Sales Act, SNB 1993, c T-6.1 CHAPTER T-6.1 5, 6". canlii.org. Federation of Law Societies of Canada. 1 January 2009. Retrieved 15 May 2015. ^ "TOBACCO CONTROL ACT Section 4". assembly.nl.ca. Queen's Printer. 17 December 1993. Retrieved 14 May 2015. ^ "TOBACCO CONTROL ACT PART 2: 3" (PDF). justice.gov.nt.ca. Department of Justice. 21 January 2007. Retrieved 14 May 2015. ^ "Smoke-free Places Act. 2002, c. 12, s. 1". nslegislature.ca. Office of the Legislative Counsel, Nova Scotia House of Assembly. 2002. Retrieved 19 August 2015. ^ "Tobacco Access Act Section 5". nslegislature.ca. Office of the Legislative Counsel, Nova Scotia House of Assembly. 1993. Retrieved 14 May 2015. ^ "Tobacco Control Act, SNu 2003, c 13 PROVISION OF TOBACCO TO PERSONS UNDER 19". canlii.org. Federation of Law Societies of Canada. 2003. Retrieved 14 May 2015. ^ "Smoke-Free Ontario Act, S.O. 1994, c. 10 Section 3". ontario.ca. Queen's Printer for Ontario. 1994. Retrieved 14 May 2015. ^ "TOBACCO SALES AND ACCESS ACT PROVISION OF TOBACCO TO PERSONS UNDER 19" (PDF). gov.pe.ca. Legislative Counsel Office. 19 May 2010. Retrieved 14 May 2015. ^ "Tobacco Act Sections 13, 14.2, 14.3". publicationsduquebec.gouv.qc.ca. Éditeur officiel du Québec. 1 April 2015. Retrieved 14 May 2015. ^ "The Tobacco Control Act PART II 4." (PDF). qp.gov.sk.ca. THE QUEEN's PRINTER. Retrieved 14 May 2015. ^ "Nueva Ley de Tabaco - Ley 20.660". web.minsal.cl (in Spanish). Ministerio de Salud. 1 March 2013. Archived from the original on 13 June 2015. Retrieved 10 June 2015. ^ "LAW NO. 1335 PROVISIONS BY WHICH DAMAGES CAUSED TO MINORS AND THE NON-SMOKING POPULATION ARE PREVENTED AND PUBLIC POLICIES ARE STIPULATED TO PREVENT TOBACCO CONSUMPTION AND THE CESSATION OF THE SMOKER's DEPENDENCE ON TOBACCO AND ITS DERIVATIVES IN THE COLOMBIAN PEOPLE" (PDF). tobaccocontrollaws.org. CONGRESS OF COLOMBIA. 21 July 2009. Retrieved 25 May 2015. ^ "LAW Nº 9028 GENERAL LAW FOR THE CONTROL OF TOBACCO AND ITS HARMFUL EFFECTS ON HEALTH ARTICLE 16.- Regulation of the sale and provision of tobacco products in particular places and spaces" (PDF). tobaccocontrollaws.org. Government of Costa Rica. p. 10. Retrieved 25 May 2015. ^ "Council of Ministers Agreement No. 5570" (PDF). tobaccocontrollaws.org. 2 December 2005. Retrieved 25 May 2015. ^ "Tobacco Law, 2007: PART V – Section 10" (PDF). gov.ky. Legislative Assembly. 2007. p. 13. Archived from the original (PDF) on 24 September 2015. Retrieved 9 June 2015. ^ "Prevención del consumo de tabaco por menores en República Dominicana". pmi.com (in Spanish). Philip Morris International Management SA. Archived from the original on 12 June 2015. Retrieved 3 June 2015. ^ "Organic Law for the Regulation and Control of Tobacco Art. 14.– Bans with Regard to Minors." (PDF). tobaccocontrollaws.org. 23 July 2011. p. 9. Retrieved 3 June 2015. ^ "CODIGO DE FAMILIA Art. 369. PROHIBICION DE VENDER PRODUCTOS NOCIVOS" (PDF). tobaccocontrollaws.org (in Spanish). 3 February 2006. p. 2. Retrieved 3 June 2015. ^ "Industrias Licoreras de Guatemala". ronesdeguatemala.com (in Spanish). Archived from the original on 30 May 2015. Retrieved 9 June 2015. ^ "Protection of Children Act 2009 PART VIII – Section 50" (PDF). tobaccocontrollaws.org. Parliament. 12 November 2009. p. 2. Retrieved 9 June 2015. ^ "Decree No. 92-2010, Special Tobacco Control Law (LECT) Article 16." (PDF). tobaccocontrollaws.org. National Congress. 21 February 2011. p. 8. Retrieved 9 June 2015. ^ "Child Care and Protection Act, 2004 Section 40.-" (PDF). tobaccocontrollaws.org. Minister of Health. 26 March 2004. p. 42. Retrieved 9 June 2015. ^ "The General Law on Tobacco Control Article 17. I." (PDF). tobaccocontrollaws.org. Federal Government of Mexico. 28 August 2008. p. 7. Retrieved 9 June 2015. ^ "CODIGO DE LA NIÑEZ Y LA ADOLESCENCIA Artículo 66." (PDF). tobaccocontrollaws.org (in Spanish). Government of Nicaragua. 24 March 1998. p. 2. Retrieved 9 June 2015. ^ "Law No. 13 of January 24, 2008 "Which Adopts Measures to Control Tobacco and its Harmful Effects on Health" Article 19." (PDF). tobaccocontrollaws.org. NATIONAL EXECUTIVE BODY. 25 April 2008. p. 3. Retrieved 9 June 2015. ^ "Operando con responsabilidad Ley N° 1680/2001". bat.com.py (in Spanish). British American Tobacco Paraguay. Retrieved 10 June 2015. ^ "GENERAL LAW FOR THE PREVENTION AND CONTROL OF TOBACCO USE RISKS Article 11.– Bans on Marketing" (PDF). tobaccocontrollaws.org. THE CONGRESS. 6 April 2006. p. 4. Retrieved 10 June 2015. ^ "THE TOBACCO CONTROL ACT, 2009 PART III – Prohibitions – Section 13. Prohibition on sales by minors" (PDF). tobaccocontrollaws.org. Parliament. 23 December 2009. p. 15. Retrieved 10 June 2015. ^ "Alabama Act 97-423 Youth Access To Tobacco Products" (PDF). adph.org. Alcoholic Beverage Control Board. Retrieved 14 May 2015. ^ a b c d e f g h i j k l Louis W. Sullivan, M.D. (1986). "SMOKING AND HEALTH: A National Status Report 2nd Edition – A Report to Congress" (PDF). nlm.nih.gov. U.S. Department of Health and Human Services. Retrieved 20 October 2015. ^ "AS 11.76.100. Selling or Giving Tobacco to a Minor.". touchngo.com. Alaska State Legislature. Retrieved 14 May 2015. ^ "AS 11.76.105. Possession of Tobacco By a Minor". touchngo.com. Alaska State Legislature. Retrieved 14 May 2015. ^ KCAW News (22 August 2018). "Tobacco 21 Starts Today!". kcaw.org. Retrieved 23 October 2018. ^ "A.R.S. § 13-3622". azleg.gov. Arizona State Legislature. 2007. Retrieved 14 May 2015. ^ Washington Times. "Cottonwood raises age for tobacco purchases to 21". washingtontimes.org. Washington Times. Retrieved 26 May 2016. ^ Yaussy, Carolyn. "Douglas becomes second AZ city to raise legal tobacco age to 21". Retrieved 27 August 2017. ^ "ARK. CODE § 5-27-227". law.justia.com. Retrieved 14 May 2015. ^ Preventing Tobacco Addiction Foundation. "Arkansas". Tobacco21.org. Preventing Tobacco Addiction Foundation. Retrieved 23 February 2018. ^ "California's smoking age raised from 18 to 21 under bills signed by Gov. Brown". 5 May 2016. Retrieved 5 May 2016. ^ "An act to amend Sections 22950.5, 22958, and 22962 of, to amend, repeal, and add Section 22980.2 of, and to add Sections 22971.7 and 22973.3 to, the Business and Professions Code, to amend Section 1947.5 of the Civil Code, to amend Section 48901 of the Education Code, to amend Section 7597 of the Government Code, to amend Sections 1234, 1286, 1530.7, 1596.795, 104495, 114332.3, 114371, 118910, 118925, and 118948 of, to add Section 119406 to, and to repeal Section 119405 of, the Health and Safety Code, to amend Section 6404.5 of the Labor Code, to amend Section 308 of the Penal Code, to amend Sections 561 and 99580 of the Public Utilities Code, and to amend Section 12523 of the Vehicle Code, relating to electronic cigarettes". California Office of Legislative Counsel. Retrieved 27 January 2019. ^ "SENATE BILL 08-088 – 18-13-121 and 25-14-301". tornado.state.co.us. Office of Legislative Legal Services. 2008. Archived from the original on 13 June 2015. Retrieved 14 May 2015. ^ Preventing Tobacco Addiction Foundation. "Colorado". Tobacco21.org. Preventing Tobacco Addiction Foundation. Retrieved 23 February 2018. ^ "Connecticut Code Sec. 53-344". law.justia.com. Justia. Retrieved 14 May 2015. ^ "Delaware Criminal Code CHAPTER 5. SPECIFIC OFFENSES". delcode.delaware.gov. Delaware Code Online. Retrieved 14 May 2015. ^ a b c d e f g h i j k l m CATHERINE J. YOE (1994). 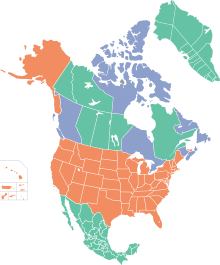 "STATE "MINIMUM AGE" LAWS ENACTED 1989–1994". Tobacco Institute. Retrieved 14 May 2015. ^ "Florida Statutes CHAPTER 569 – 569.101 and 569.11". leg.state.fl.us. The Florida Legislature. 2014. Retrieved 14 May 2015. ^ The Gainesville Sun (22 January 2019). "County Raises Tobacco Purchasing Age to 21". gainesville.com. Retrieved 23 January 2019. ^ "Georgia Code – Crimes and Offenses Title 16, Section 16-12-171". law.onecle.com. 21 April 2006. Archived from the original on 13 June 2015. Retrieved 14 May 2015. ^ "Guam Raises Tobacco Age to 21 Come 2018". U.S. News. Retrieved 8 April 2017. ^ "Section 321-212, Haw. Rev. Stat". Retrieved 31 December 2015. ^ "Section 709-908, Haw. Rev. Stat". Retrieved 31 December 2015. ^ Act 62, Session Laws of Hawaii 1890. ^ Act 293, Session Laws of Hawaii 1987. ^ "Act 122, Session Laws of Hawaii 2015" (PDF). Retrieved 31 December 2015. ^ "Idaho Statutes 39-5703". legislature.idaho.gov. Legislative Services Office. 1998. Retrieved 14 May 2015. ^ "Idaho Statutes – 39-5705". legislature.idaho.gov. Legislative Services Office. 1998. Retrieved 14 May 2015. ^ "Tobacco Laws". in.gov. Indiana State Excise Police. Retrieved 14 May 2015. ^ "IT's THE LAW!" (PDF). idph.state.ia.us. Iowa Department of Public Health. Archived from the original (PDF) on 13 June 2015. Retrieved 14 May 2015. ^ "Kansas State Statutes" (PDF). kdheks.gov. Retrieved 14 May 2015. ^ Preventing Tobacco Addiction Foundation. "Kansas". Tobacco21.org. Preventing Tobacco Addiction Foundation. Retrieved 23 February 2018. ^ "Kentucky Statutes 438.311". lrc.ky.gov. Retrieved 14 May 2015. ^ "2006 Louisiana Laws RS 14:91.8 — Unlawful sale, purchase, or possession of tobacco; signs required; penalties". law.justia.com. Justia. Retrieved 14 May 2015. ^ "Maine Revised Statutes Title 22, Subtitle 2, Part 3, Chapter 262-A, Subchapter 2: PROHIBITED SALES, POSSESSION AND USE HEADING: PL 1995, C. 470, § 9 (NEW) — Unlawful sale, purchase, or possession of tobacco; signs required; penalties". www.mainelegislature.org. Retrieved 7 February 2016. ^ Mistler, Steve. "Maine's Legal Smoking Age to Become 21". ^ "Maryland Code Section 10-108". law.justia.com. Justia. Retrieved 14 May 2015. ^ "Maryland Code – Section 10-107". law.justia.com. Justia. Retrieved 14 May 2015. ^ "Massachusetts law about smoking". mass.gov. Retrieved 15 October 2018. ^ "YOUTH TOBACCO ACT Act 31 of 1915" (PDF). legislature.mi.gov. Legislative Council, State of Michigan. 1915. Retrieved 18 May 2015. ^ Preventing Tobacco Addiction Foundation. "Michigan". Tobacco21.org. Preventing Tobacco Addiction Foundation. Retrieved 23 February 2018. ^ "2014 Minnesota Statutes 609.685 SALE OF TOBACCO TO CHILDREN.". revisor.leg.state.mn.us. Revisor of Statutes. Retrieved 18 May 2015. ^ Preventing Tobacco Addiction Foundation. "Minnesota". Tobacco21.org. Preventing Tobacco Addiction Foundation. Retrieved 23 February 2018. ^ "The Mississippi Juvenile Tobacco Access Prevention Act of 1997" (PDF). ago.state.ms.us. Retrieved 18 May 2015. ^ WAPT news. "Adams County votes to raise smoking age to 21". WAPT News. Retrieved 26 May 2016. ^ "What you should know about Missouri's tobacco youth access and possession laws" (PDF). health.mo.gov. Missouri Department of Health and Senior Services. 2005. Retrieved 18 May 2015. ^ Preventing Tobacco Addiction Foundation. "List of Tobacco 21 cities" (PDF). Tobacco21.org. Preventing Tobacco Addiction Foundation. Retrieved 16 May 2016. ^ "Montana Youth Access to Tobacco – Synar & State Inspections". havrehelp.com. Retrieved 18 May 2015. ^ "2006 Nebraska Revised Statutes § 28-1418 — Tobacco; use by minors; penalty.". law.justia.com. Justia. Retrieved 18 May 2015. ^ "2006 Nebraska Revised Statutes - § 28-1419 — Tobacco; sale to minors; penalty". law.justia.com. Justia. Retrieved 18 May 2015. ^ "NRS 202.2493 Cigarettes and smokeless products made or derived from tobacco to be sold in unopened package only; sale and distribution of cigarettes and other tobacco products to minor prohibited; owner of retail establishment required to display notice concerning prohibition against sale of tobacco products to minors; sale of cigarettes by retailer through use of certain displays prohibited; penalties.". leg.state.nv.us. Retrieved 18 May 2015. ^ "TITLE X PUBLIC HEALTH CHAPTER 126-K: YOUTH ACCESS TO AND USE OF TOBACCO PRODUCTS". gencourt.state.nh.us. Retrieved 18 May 2015. ^ Tobacco21. "Dover To Raise Tobacco Age to 21, First in NH". tobacco21.org. p. all. Retrieved 23 October 2018. ^ The Keene Sentinel (December 7, 2018). "City raises tobacco age to 21, effective immediately". sentinelsource.com. Retrieved 23 January 2019. ^ "New Jersey Permanent Statutes TITLE 2A:170-51.4". nj.gov. Office of Tobacco Control. Archived from the original on 12 June 2015. Retrieved 18 May 2015. ^ "YOUTH ACCESS TO TOBACCO" (PDF). oig.hhs.gov. Department of Health and Human Services. 1992. Retrieved 18 May 2015. ^ "N.Y. PBH. LAW § 1399-cc: NY Code – Section 1399-CC: Sale of tobacco products, herbal cigarettes, rolling papers or pipes to minors prohibited". codes.lp.findlaw.com. Thomson Reuters. Retrieved 18 May 2015. ^ Preventing Tobacco Addiction Foundation. "New York". Tobacco21.org. Preventing Tobacco Addiction Foundation. Retrieved 23 February 2018. ^ "North Carolina Tobacco Law". ncdps.gov. NC Department of Public Safety. Archived from the original on 12 June 2015. Retrieved 18 May 2015. ^ "CHAPTER 12.1-31: 12.1-31-03. Sale of tobacco to minors and use by minors prohibited." (PDF). legis.nd.gov. Retrieved 18 May 2015. ^ "Chapter 2927: MISCELLANEOUS OFFENSES". codes.ohio.gov. Ohio Laws and Rules. 10 September 2001. Retrieved 18 May 2015. ^ Preventing Tobacco Addiction Foundation. "Ohio". Tobacco21.org. Preventing Tobacco Addiction Foundation. Retrieved 23 February 2018. ^ "PREVENTION OF YOUTH ACCESS TO TOBACCO ACT" (PDF). ok.gov. Administration and Oklahoma City District Enforcement, Tulsa District Enforcement and McAlester District Enforcement. 1 November 2014. Retrieved 18 May 2015. ^ "§ 6305. Sale of tobacco.". legis.state.pa.us. Pennsylvania General Assembly. Retrieved 18 May 2015. ^ "§ 11-9-13 Purchase, sale or delivery of tobacco products to persons under 18 – Posting notice of law.". webserver.rilin.state.ri.us. State of Rhode Island General Assembly. Retrieved 20 May 2015. ^ "§ 11-9-14 Use of tobacco by minors". webserver.rilin.state.ri.us. State of Rhode Island General Assembly. Retrieved 20 May 2015. ^ Preventing Tobacco Addiction Foundation. "Rhode Island". Tobacco21.org. Preventing Tobacco Addiction Foundation. Retrieved 23 February 2018. ^ "SC Code § 16-17-500 (2012)". law.justia.com. Justia. 2012. Retrieved 20 May 2015. ^ "39-17-1505. Prohibited purchases or possession by minors Penalties.". law.justia.com. Justia. Retrieved 22 May 2015. ^ "HEALTH AND SAFETY CODE SUBCHAPTER H. DISTRIBUTION OF CIGARETTES OR TOBACCO PRODUCTS and SUBCHAPTER N. TOBACCO USE BY MINORS". statutes.legis.state.tx.us. Texas Constitution and Statutes. Retrieved 22 May 2015. ^ Preventing Tobacco Addiction Foundation. "Texas". Tobacco21.org. Preventing Tobacco Addiction Foundation. Retrieved 23 February 2018. ^ "DLCA REMINDS BUSINESSES AND ESTABLISHMENTS THAT THEY ARE PROHIBITED FROM SELLING ANDSERVING ALCOHOL AND TOBACCO PRODUCTS TO MINOR". secure.dlca.vi.gov. Department of Licensing and Consumer Affairs. 29 March 2012. Retrieved 25 May 2015. ^ "UTAH Tobacco Laws" (PDF). slcohealth.org. Retrieved 22 May 2015. ^ Micah Berman and Whitney Dodds (2012). "Vermont's tobacco control laws" (PDF). Center for public health and tobacco policy. p. 10. Archived from the original (PDF) on 13 June 2015. Retrieved 22 May 2015. ^ "§ 18.2-371.2". leg1.state.va.us. Retrieved 22 May 2015. ^ Preventing Tobacco Addiction Foundation. "Washington D.C." Tobacco21.org. Preventing Tobacco Addiction Foundation. Retrieved 23 February 2018. ^ "WEST VIRGINIA CODE CHAPTER 16. PUBLIC HEALTH. - ARTICLE 9A. TOBACCO USAGE RESTRICTIONS.". legis.state.wv.us. West Virginia Legislature. Retrieved 22 May 2015. ^ "134.66 Restrictions on sale or gift of cigarettes or nicotine or tobacco products.". docs.legis.wisconsin.gov. Retrieved 22 May 2015. ^ "ARTICLE 3 SALE OF TOBACCO". legisweb.state.wy.us. Wyoming Legislative Service Office. Retrieved 22 May 2015. ^ "Law No. 18.256 on Smoking Control Regulations CHAPTER III: MEASURES RELATED TO REDUCTION IN THE DEMAND FOR TOBACCO – Article 11. (Bans) A)" (PDF). tobaccocontrollaws.org. Plenary Assembly. 6 March 2008. p. 2. Retrieved 10 June 2015. ^ "LEY ORGANICA PARA LA PROTECCION DEL NIÑO Y DEL ADOLESCENTE Articulo 92" (PDF). tobaccocontrollaws.org (in Spanish). CONGRESO DE LA REPUBLICA. 3 September 1998. p. 24. Retrieved 10 June 2015. ^ Ghanizada (23 January 2014). "Afghanistan parliament votes to ban smoking in public". Khaama Press. Afghan News Agency. Retrieved 26 July 2017. ^ "Tobacco Order 2005 Section 9 and 10" (PDF). tobaccocontrollaws.org. Government of Brunei. 28 June 2005. p. 12. Retrieved 2 June 2015. ^ "The Juvenile Smoking Act, 1919 Section 3 and 4" (PDF). tobaccocontrollaws.org. 1919. Retrieved 25 May 2015. ^ Hul Reaksmey (9 April 2015). "Parties Unite to Pass Strict Tobacco Control Law". cambodiadaily.com. The Cambodia Daily. Retrieved 10 June 2015. ^ "Law on Protection of Minors of the People's Republic of China" (PDF). tobaccocontrollaws.org. Seventh National People's Congress. 29 December 2006. p. 1. Retrieved 29 May 2015. ^ "SMOKING (PUBLIC HEALTH) ORDINANCE PART IVA" (PDF). tobaccocontrollaws.org. Government of Hong Kong. 27 October 2006. p. 11. Retrieved 2 June 2015. ^ "THE CIGARETTES AND OTHER TOBACCO PRODUCTS (PROHIBITIONOF ADVERTISEMENT AND REGULATION OF TRADE AND COMMERCE, PRODUCTION, SUPPLY AND DISTRIBUTION) ACT, 2003 Section 6" (PDF). tobaccocontrollaws.org. MINISTRY OF LAW AND JUSTICE. 18 May 2003. p. 4. Retrieved 2 June 2015. ^ "CONTROL OF MATERIALS THAT CONTAIN ADDICTIVE SUBSTANCES IN TOBACCO PRODUCTS IN THE INTERESTS OF HEALTHPart Three: Distribution Article 25" (PDF). tobaccocontrollaws.org. Government of Indonesia. 2012. p. 9. Retrieved 2 June 2015. ^ "COMPREHENSIVE ACT ON NATIONAL CONTROL AND CAMPAIGN AGAINST TOBACCO ARTICLE 12" (PDF). tobaccocontrollaws.org. ISLAMIC CONSULTATIVE ASSEMBLY. 29 October 2005. p. 3. Retrieved 2 June 2015. ^ "RESTRICTION ON ADVERTISING AND MARKETING OF TOBACCO PRODUCTS LAW 1983 8a. Prohibition of Sale, Rental or Loaningto Minors" (PDF). tobaccocontrollaws.org. Laws of the State of Israel No. 1074. 1983. p. 4. Retrieved 2 June 2015. ^ "Monitoring Juveniles Behavior Law (No. 37) 2006. Article 4--" (PDF). tobaccocontrollaws.org. Ministry of Interior. 2006. p. 1. Retrieved 2 June 2015. ^ "Where there's smoke . . . there might be adults giving minors cigarettes – The Japan Times". Retrieved 14 October 2014. ^ "Prevention and Restriction of Tobacco Smoking" (PDF). tobaccocontrollaws.org. 19 June 2007. p. 5. Archived from the original (PDF) on 13 June 2015. Retrieved 2 June 2015. ^ "Law No. 15 of 1995, Anti-Smoking Law Article 3" (PDF). tobaccocontrollaws.org. National Assembly. 1995. p. 1. Retrieved 2 June 2015. ^ "PROTECTION OF HEALTH OF CITIZENS OF KYRGYZ REPUBLIC AGAINST HARMFUL TOBACCO IMPACT Article 12. Restriction for sales of tobacco products" (PDF). tobaccocontrollaws.org. House of Government. 21 August 2006. Retrieved 2 June 2015. ^ "Law No.174, Tobacco Control and Regulation of Tobacco Products Manufacturing, Packaging and Advertising Article 4" (PDF). tobaccocontrollaws.org. Administration and Justice Committee. 29 October 2011. p. 3. Retrieved 2 June 2015. ^ "Regime for prevention and control of tobacco use Article 14." (PDF). tobaccocontrollaws.org. Legislative Assembly. 18 April 2011. p. 8. Retrieved 2 June 2015. ^ "CONTROL OF TOBACCO PRODUCT REGULATIONS 2004 8. Sale of tobacco product to a minor is prohibited" (PDF). tobaccocontrollaws.org. Government of Malaysia. 2004. p. 27. Retrieved 2 June 2015. ^ "Tobacco Control Act Chapter 2 Sale and purchase of tobacco products, tobacco growing and manufacture 6." (PDF). tobaccocontrollaws.org. Government of the Maldives. 2010. p. 2. Retrieved 2 June 2015. ^ "Tobacco Product(Control and Regulatory) Bill, 2010 11.Prohibition in sale, distribution and display" (PDF). tobaccocontrollaws.org. Constituent Assembly. 2010. p. 5. Retrieved 2 June 2015. ^ "Law of the Democratic People's Republic of Korea on Tobacco Control Article 24" (PDF). tobaccocontrollaws.org. Legislation Press. 2010. p. 12. Retrieved 2 June 2015. ^ "The Prohibition of Sale of Cigarettes to Minors Rules, 2010" (PDF). tobaccocontrollaws.org. MINISTRY OF HEALTH. 2010. Retrieved 2 June 2015. ^ Tobacco. Data.euro.who.int. Retrieved on 29 September 2011. ^ "Law No. 20 of 2002 on the Control of Tobacco and its Derivatives Article 7" (PDF). tobaccocontrollaws.org. Shura Council. p. 4. Retrieved 2 June 2015. ^ "Tobacco (Control of Advertisements and Sale) Act PART III CONTROL OF SALE OF TOB ACCO PRODUCTS – Section 10 and 11." (PDF). tobaccocontrollaws.org. Law Revision Commissioner. 31 May 1993. p. 7. Retrieved 2 June 2015. ^ "Juvenile Protection Act" (PDF). tobaccocontrollaws.org (in Korean). Government of South Korea. 7 March 1997. p. 1. Retrieved 2 June 2015. ^ "National Authority on Tobacco and Alcohol Act, No. 27 of 2006 PART II Section 30." (PDF). tobaccocontrollaws.org. Parliament of the Democratic Socialist Republic of Sri Lanka. 29 August 2006. p. 15. Retrieved 2 June 2015. ^ "Smoking and Tobacco Sales in Public Places Article (3) c." (PDF). tobaccocontrollaws.org. President Bashar El-Asad. 11 October 2009. p. 3. Retrieved 2 June 2015. ^ "TOBACCO HAZARDS PREVENTION ACT CHAPTER 3 THE PROHIBITION OF SMOKING BY CHILDREN, MINORS AND PREGNANT WOMEN" (PDF). tobaccocontrollaws.org. Government of Taiwan. 11 July 2007. p. 4. Retrieved 2 June 2015. ^ "TOBACCO PRODUCTS CONTROL ACT Section 4" (PDF). tobaccocontrollaws.org. National Assembly. 29 March 1992. p. 1. Retrieved 2 June 2015. ^ "This entire country has banned smoking". 16 January 2016. Retrieved 16 June 2016. ^ "LAW ON PREVENTION AND CONTROL OF TOBACCO HARMS Article 9. Strictly prohibited acts" (PDF). tobaccocontrollaws.org. THE NATIONAL ASSEMBLY. p. 4. Retrieved 25 May 2015. ^ "PROPOSAL OF BILL "ON HEALTH PROTECTION FROM TOBACCO PRODUCTS" CHAPTER III Article 9" (PDF). tobaccocontrollaws.org. Minister of Health and Council of Ministers. 19 July 2006. p. 6. Retrieved 29 May 2015. ^ "TOBACCO REALIZATION, CONSUMPTION AND USAGE LIMITATIONS Article 8. Limitations of realization of tobacco products" (PDF). tobaccocontrollaws.org. 24 December 2004. Retrieved 29 May 2015. ^ "Rauchen und Alkohol". help.gv.at (in German). Bundeskanzleramt Österreich. 1 January 2015. Retrieved 10 June 2015. ^ "Law of the Azerbaijan Republic on tobacco and tobacco products 15.3.6" (PDF). tobaccocontrollaws.org. 1 January 2002. Retrieved 29 May 2015. ^ "Decree No. 28 of 2002 on State Regulation of the Production, Turnover and Consumption of Tobacco Raw Material and Tobacco Products Section 32" (PDF). tobaccocontrollaws.org. THE PRESIDENT OF THE REPUBLIC OF BELARUS. 17 December 2002. p. 8. Archived from the original (PDF) on 13 June 2015. Retrieved 10 June 2015. ^ "Service de contrôle Tabac et Alcool". health.belgium.be (in French). Santé publique, Sécurité de la Chaîne alimentaire et Environnement. Retrieved 10 June 2015. ^ "LAW ON THE BAN ON THE SALE AND CONSUMPTION OF TOBACCO PRODUCTS TO PERSONS BELOW 18 YEARS OF AGE I–MAIN PROVISIONS" (PDF). tobaccocontrollaws.org. Official Gazette of the BIH Federation. 21 May 2004. Retrieved 1 June 2015. ^ "DECREE ON THE PROCLAMATION OF A LAW ON THE LIMITED USE OF TOBACCO PRODUCTS V. PROHIBITION OF SALE Article 12" (PDF). tobaccocontrollaws.org. Official Gazette of the BIH Federation. 9 March 1998. Retrieved 1 June 2015. ^ "ЗАКОН ЗА ТЮТЮНА ИТЮТЮНЕВИТЕ ИЗДЕЛИЯ Чл. 30." (PDF). ec.europa.eu (in Bulgarian). 5 July 1999. p. 9. Archived from the original (PDF) on 5 March 2016. Retrieved 1 June 2015. ^ "ORDER ON PROMULGATION OF THE RESTRICTION ON THE USE OF TOBACCO PRODUCTS ACT Article 11" (PDF). tobaccocontrollaws.org. CROATIAN PARLIAMENT. 17 October 2008. Retrieved 1 June 2015. ^ "LAW THAT PROVIDES FOR MEASURES FOR THE REDUCTION OF SMOKING 3.- Prohibition to provide tobacco to minors." (PDF). tobaccocontrollaws.org. Cyprus Legal Portal. 14 June 2002. p. 3. Retrieved 1 June 2015. ^ "190/1999 Sb.Zákon, kterým se mění zákon č. 37/1989 Sb., o ochraně před alkoholismem a jinými toxikomaniemi, ve znění pozdějších předpisů". esipa.cz (in Czech). Parliament of the Czech Republic. 2 September 1999. Archived from the original on 15 February 2008. Retrieved 29 May 2015. ^ "LBK nr 1020 af 21/10/2008 Gældende Bekendtgørelse af lov om forbud mod salg af tobak til personer under 18 år og salg af alkohol til personer under 16 år: 1. § 1". retsinformation.dk (in Danish). Retrieved 25 May 2015. ^ "Tobacco Act § 27., § 28." (PDF). tobaccocontrollaws.org. 4 May 2005. p. 15. Archived from the original (PDF) on 13 June 2015. Retrieved 29 May 2015. ^ "Förordning om åtgärder för inskränkande av tobaksrökning 25.2.1977/225 11 § (10.2.1995/174)". finlex.fi (in Finnish). Justitieministeriet. 1995. Retrieved 29 May 2015. ^ Loi no 76-616 du 9 juillet 1976 relative à la lutte contre le tabagisme (in French). ^ "საქართველოს კანონი მავნე ზეგავლენისაგან არასრულწლოვანთა დაცვის შესახებ" (PDF). gncc.ge (in Georgian). პრეზიდენტი ედუარდ. 28 September 2001. Retrieved 1 June 2015. ^ "Protection of Young Persons Act § 10. Tobacco Products" (PDF). Bundesministerium für Familie, Senioren, Frauen und Jugend (Federal ministry for family, youth and eldery). Archived from the original (PDF) on 26 September 2011. Retrieved 2 June 2015. ^ behalf of Heinrich Himmler (16 June 1943). "Polizeiverordnung zum Schutze der Jugend Nr.58/349" (PDF). servat.unibe.ch (in German). Reichsminister des Innern. p. 1. Retrieved 17 July 2015. ^ "Bundesgesetzblatt Nr.56/931" (PDF). bgbl.de (in German). German Bundestag. 4 December 1951. p. 6. Retrieved 17 July 2015. ^ "CHILDREN AND YOUNG PERSONS (ALCOHOL, TOBACCO AND GAMING) ACT 2006" (PDF). gibraltarlaws.gov.gi. Government of Gibraltar. 7 July 2006. p. 12. Retrieved 29 May 2015. ^ Leo Olivero (2006). "Government's new law to protect young from alcohol and tobacco falls short of expectations". panorama.gi. Retrieved 29 May 2015. ^ "OFFICIAL GAZETTE OF THE GOVERNMENT OF THE HELLENIC REPUBLIC LAW NUMBER 3730" (PDF). tobaccocontrollaws.org. Parliament of Greece. 23 December 2008. Retrieved 29 May 2015. ^ "Tobacco Control Act No.6/2002" (PDF). tobaccocontrollaws.org. Ministry of Welfare. 2002. p. 3. Retrieved 29 May 2015. ^ Þorgrímur Þráinsson. "Tóbaksvarnastarf á Íslandi síðustu ár" (PDF). velferdarraduneyti.is (in Icelandic). Sviðsstjóri tóbaksvarna Lýðheilsustöð. p. 3. Retrieved 29 May 2015. ^ "Public Health (Tobacco) Act, 2002". Irish Statute Book. Government of Ireland. Retrieved 31 January 2015. ^ "Tobacco (Health Promotion and Protection) Act, 1988 – 3.-". Irish Statute Book. Government of Ireland. Retrieved 31 January 2015. ^ "Legge 8 novembre 2012, n. 189 Art. 7" (PDF). federsanita.it (in Italian). 28 November 2012. p. 95. Retrieved 1 June 2015. ^ "Divieto vendita minori: nuove regole!". tabaccai.it (in Italian). Federazione Italiana Tabaccai. 1 January 2013. Retrieved 1 June 2015. ^ "Tabacco e Minori". iss.it (in Italian). Istituto Superiore di Sanità. Retrieved 1 June 2015. ^ "LIGJIN PËR DUHANIN VIII. Mbikëqyrja – Neni 12 – 12.8" (PDF). msh-ks.org (in Albanian). United Nations Interim Administration Mission in Kosovo. Retrieved 25 May 2015. ^ "Law On Restrictions Regarding Sale, Advertising and Use of Tobacco Products Section 7. Procedures for Trade in Tobacco Productsand Herbal Smoking Products" (PDF). tobaccocontrollaws.org. Saeima. 14 October 1999. p. 6. Retrieved 2 June 2015. ^ "Kinder- und Jugendgesetz (KJG) 852.0, 2009 – III. Kinder- und Jugendschutz – B. Besondere Gefährdungen: Art. 69". Gesetzesdatenbank LILEX. Government of Liechtenstein. Retrieved 31 January 2015. ^ Victor Buck (1 September 2006). "LUTTE ANTITABAC N°154 Art. 9." (PDF) (in French). Service Central de Législation. Retrieved 26 May 2015. ^ "Stop au tabagisme: "2017: J'arrête!" - gouvernement.lu // L'actualité du gouvernement du Luxembourg". www.gouvernement.lu. Archived from the original on 10 August 2017. ^ "TOBACCO (SMOKING CONTROL) ACT CAP. 315. - 13. Sale to young persons. (Amended by: IX. 2003.60.)". justiceservices.gov.mt. Ministry for Justice, Culture and Local Government. Retrieved 31 January 2015. ^ "Law Concerning Tobacco and Tobacco Products Article 11. Retail trade in tobacco products" (PDF). tobaccocontrollaws.org. Government of Moldova. 19 July 2001. p. 6. Retrieved 2 June 2015. ^ "PRAVILNIK O OBRASCU OZNAKE O ZABRANI PRODAJE DUVANSKIH PROIZVODALICIMA MLADJIM OD 18 GODINA ŽIVOTA Član 1, Član 2" (PDF). tobaccocontrollaws.org (in Montenegrin). Government of Montenegro. 29 October 2007. p. 1. Retrieved 2 June 2015. ^ "LAW ON PROTECTION FROM SMOKING Article 5" (PDF). tobaccocontrollaws.org. Ministry of Justice. 2003. p. 2. Retrieved 2 June 2015. ^ "Act of 9 November 1995 on protection of health against the effects of using tobacco and tobacco products (as amended) (Journal of Laws 96.10.55) Article 6" (PDF). tobaccocontrollaws.org. Polish Parliament. 9 November 1995. p. 4. Retrieved 10 June 2015. ^ "Федеральный закон от 10 июля 2001 г. N 87-ФЗ". rg.ru (in Russian). Российская Газета. 2001. Retrieved 10 June 2015. ^ "Act of 26 May 2004 (No. 377/2004) on Protection of Non-smokers (as amended through 1 September 2009)" (PDF). tobaccocontrollaws.org. 26 May 2004. p. 5. Retrieved 10 June 2015. ^ "Uradni list Republike Slovenije". Retrieved 16 June 2016. ^ "Ley 28/2005, de 26 de diciembre, de medidas sanitarias frente al tabaquismo y reguladora de la venta, el suministro, el consumo y la publicidad de los productos del tabaco. CAPÍTULO II Limitaciones a la venta, suministro y consumo de los productos del tabaco: Artículo 3. Venta y suministro de los productos del tabaco.". boe.es (in Spanish). Jefatura del Estado. 1 January 2006. Retrieved 10 June 2015. ^ "The Tobacco Act (1993:581) Section 12" (PDF). tobaccocontrollaws.org. Ministry of Health and Social Affairs. 3 June 1993. p. 7. Retrieved 10 June 2015. ^ "Gesetzesbestimmungen a)Kantonale Gesetzesbestimmungen Gesundheitsgesetz vom 20 January 2009 (Stand 1 January 2010) § 37 Tabak- und Alkoholprävention;Jugendschutz" (PDF). jugendschutzaargau.ch (in German). Jugendschutz Aargau. 1 January 2010. p. 2. Archived from the original (PDF) on 12 June 2015. Retrieved 11 June 2015. ^ "Gesundheitsgesetz Art. 16 Bekämpfung des Suchtmittelmissbrauchs". bgs.ar.ch (in German). Cantonal Government of Appenzell Ausserrhoden. 1 January 2011. Retrieved 11 June 2015. ^ a b c d e f "Bundesamt für Gesundheit – Kantonale Abgabeverbote". Bundesamt für Gesundheit (Federal Department of Health). Archived from the original on 17 November 2015. Retrieved 14 October 2014. ^ "Jugendschutz Alkohol- und Tabakgesetz (KaATG) § 2". baselland.ch (in German). Grosse Rat des Kantons Basel-Landschaft. Retrieved 11 June 2015. ^ "Übertretungsstrafgesetz § 35 a. Verkaufsverbot von Tabakwaren an Minderjährige". gesetzessammlung.bs.ch (in German). Grosse Rat des Kantons Basel-Stadt. 28 December 2014. Retrieved 11 June 2015. ^ "Jugendschutz HGG Art. 16 Verkauf von Tabak; GGV Art. 20d Zutritt zu Fumoirs". vol.be.ch (in German). Volkswirtschaftsdirektion des Kanton Bern. Retrieved 11 June 2015. ^ "Vente Brochure Loi sur l'exercice du commerce – Art. 31 Vente de tabac" (PDF). cipretfribourg.ch (in French). Direction de la santé et des affaires sociales du canton de Fribourg. Archived from the original (PDF) on 13 June 2015. Retrieved 11 June 2015. ^ "Gesetz über die Handels- und Gewerbetätigkeiten 8. Handel mit Tabakwaren – Art. 19". gesetze.gl.ch (in German). Erlassen von der Landsgemeinde. 1 September 2014. Retrieved 11 June 2015. ^ "Auftrag Schütz betreffend Verkauf von Tabakwaren an unter 16- Jährige und das Aufstellen und Betreiben von Zigarettenautomaten im Freien, in Bahnhöfen und in Restaurants". gr.ch (in German). Kanton Graubünden. 17 June 2004. Retrieved 11 June 2015. ^ "Loi sanitaire: deux nouvelles dispositions visant à protéger la santé de la jeunesse". jura.ch (in French). République et Canton du Jura. 1 March 2012. Archived from the original on 13 June 2015. Retrieved 11 June 2015. ^ "SRL 800 – Gesundheitsgesetz (GesG) § 48". srl.lu.ch (in German). Der Grosse Rat des Kantons Luzern. 1 July 2014. p. 14. Retrieved 11 June 2015. ^ "Alcool et tabac Obligations légales pour le commerce de tabac". ne.ch (in French). République et canton de Neuchâtel. Retrieved 11 June 2015. ^ "Jugendschutz und Alkohol/Tabak". nw.ch (in German). Gesundheitsförderung und Integration. Retrieved 11 June 2015. ^ "Gesundheitsgesetz § 6 b) Tabakprävention". bgs.so.ch (in German). Der Kantonsrat von Solothurn. 1 January 2013. Retrieved 11 June 2015. ^ "Gesundheitsgesetz (GesG) Art. 52 Abgabe von Tabakerzeugnissen und Raucherwaren mit Tabakersatzstoff". gesetzessammlung.sg.ch (in German). Der Grosse Rat des Kantons St.Gallen. 1 January 2014. Retrieved 11 June 2015. ^ "Alkohol sowie über den Jugendschutz beim Verkauf von Tabakwaren § 2 Jugendschutz". rechtsbuch.tg.ch (in German). Regierungsrat. 1 January 2007. Retrieved 11 June 2015. ^ "Gesundheitsgesetz". ur.ch (in German). Kanton Uri. 1 June 2008. Retrieved 11 June 2015. ^ "Le Valais veut interdire la vente de tabac aux mineurs". lematin.ch (in French). Le Matin. 17 April 2015. Retrieved 11 June 2015. ^ "Vente de tabac aux mineurs: interdite dans le canton de Vaud". cipretvaud.ch (in French). CIPRET VAUD. Retrieved 11 June 2015. ^ "Nichtraucher- und Jugendschutz". zg.ch (in German). Retrieved 11 June 2015. ^ "Alkohol- und Tabakverkauf". stadt-zuerich.ch (in German). City of Zürich. Retrieved 11 June 2015. ^ "The Children and Young Persons (Sale of Tobacco etc.) Order 2007 2. Substitution of references to age in sections 7 and 102 of the 1933 Act". legislation.gov.uk. Government of the United Kingdom. 2007. p. 1. Retrieved 1 June 2015. ^ "Children and Young Persons Act 1933 c. 12 Part I – Offences – Section 7 (3)". legislation.gov.uk. Government of the United Kingdom. 1933. p. 1. Retrieved 1 June 2015. ^ "Tobacco and Primary Medical Services (Scotland) Act 2010 Chapter 1 – Sale and purchase of tobacco products". legislation.gov.uk. Government of the United Kingdom. 2010. Retrieved 10 June 2015. ^ "Tobacco and Primary Medical Services (Scotland) Act 2010 Chapter 1 – Miscellaneous". legislation.gov.uk. Government of the United Kingdom. 2010. Retrieved 10 June 2015. ^ "Health and Personal Social Services (Northern Ireland) Order 1978 PART II – SALE OF TOBACCO, ETC. TO PERSONS APPARENTLY UNDER 18". legislation.gov.uk. Government of the United Kingdom. 1978. Retrieved 10 June 2015. ^ "TOBACCO ACT 1927 SECT 14 Supply of smoking product to under 18 year olds". austlii.edu.au. AustLII. 1927. Retrieved 10 June 2015. ^ "TOBACCO ACT 1927 SECT 15 Purchase of smoking products for use by under 18 year olds". austlii.edu.au. AustLII. 1927. Retrieved 10 June 2015. ^ "TOBACCO ACT 1927 - Division 1 Juvenile smoking". legislation.nsw.gov.au. ^ "TOBACCO CONTROL ACT SECT 42 Sale to children prohibited". austlii.edu.au. AustLII. Retrieved 10 June 2015. ^ "Tobacco and Other Smoking Products Act 1998" (PDF). legislation.qld.gov.au. 1998. Retrieved 10 June 2015. ^ "Tobacco Products Regulation Act 1997" (PDF). legislation.sa.gov.au. p. 11. Archived from the original (PDF) on 13 June 2015. Retrieved 10 June 2015. ^ "History of tobacco laws in Tasmania". dhhs.tas.gov.au. Department of Health and Human Services. Retrieved 10 June 2015. ^ "TOBACCO ACT 1987 SECT 12 Supplying tobacco to person under 18 years". austlii.edu.au. AustLII. 1987. Retrieved 10 June 2015. ^ "TOBACCO PRODUCTS CONTROL ACT 2006 SECT 6 Supply etc. to people under 18 prohibited". austlii.edu.au. AustLII. 2006. Retrieved 10 June 2015. ^ "TOBACCO PRODUCTS CONTROL ACT 2006 SECT 7 Purchase on behalf of people under 18 prohibited". austlii.edu.au. AustLII. 2006. Retrieved 10 June 2015. ^ "TOBACCO CONTROL ACT 1998 10. Prohibition on supplying tobacco to persons under 18 years" (PDF). tobaccocontrollaws.org. Government of Fidji. 1998. p. 12. Retrieved 2 June 2015. ^ "That was the law – The Police Offences Act 1927". lawsociety.org.nz. New Zealand Law Society. 28 April 2014. Retrieved 3 June 2015. ^ "The history of tobacco control in New Zealand". sfc.org.nz. The Smokefree Coalition. Archived from the original on 14 June 2015. Retrieved 3 June 2015. ^ "Tobacco Control Section 21." (PDF). Government of Palau. 2009. p. 12. Retrieved 2 June 2015. ^ "Tobacco Products (Health Control) 1987 9.SALE OF TOBACCO PRODUCTS TO PERSONS UNDER 18 YEARS OF AGE." (PDF). tobaccocontrollaws.org. Office of Legislative Counsel. 1987. p. 9. Retrieved 3 June 2015. ^ "Tobacco Control Act 2008 23. Sale of tobacco products to persons under 21 prohibited" (PDF). tobaccocontrollaws.org. 2008. p. 18. Retrieved 3 June 2015. ^ "TOBACCO CONTROL ACT 2010 13. Sale to children prohibited" (PDF). tobaccocontrollaws.org. 26 March 2010. p. 17. Retrieved 3 June 2015. ^ "TOBACCO CONTROL ACT 2000 9 Prohibition on supplying tobacco to persons under 18 years." (PDF). tobaccocontrollaws.org. Legislative Assembly. 2000. p. 11. Retrieved 3 June 2015. ^ Crimes, Procedure and Evidence Rules 2003, s51. ^ "TOBACCO CONTROL ACT NO. 19 OF 2008 11 Sale of tobacco products to persons under 18 prohibited" (PDF). tobaccocontrollaws.org. Government of Vanuatu. 2008. p. 13. Retrieved 3 June 2015. 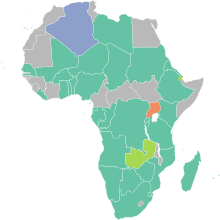 ^ "STATE "MINIMUM AGE" lAWS E_ _D 1989–1994". industrydocuments.library.ucsf.edu. Legacy Tobacco Documents. Retrieved 6 July 2015.